The Washington Post writer Margaret Ely explores Arlington Public Library’s newly named Center for Local History and its post-renovation projects. We’ve received great encouragement regarding the newly named, recently (re)opened Center for Local History at Arlington Public Library (formerly the Virginia Room). And the Arlington Mercury news blog has captured in video form the direction in which the Center is headed. We hope you’ll stop by soon or maybe bring us some memories to be digitized. 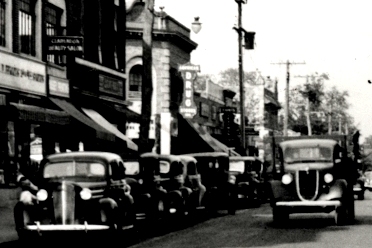 Do you have a piece of Nauck/Green Valley History to share? On Monday, June 3, the Center for Local History will hold a community scan-in for the Nauck neighborhood, at the Drew Model Elementary School, from 6:00-7:30 pm. Community Scan-ins are events where the Center for Local History makes available its scanning equipment for the purpose of gathering local history by digitizing photographs, slides, photo negatives, or even personal documents. We keep a copy for researchers here at the Center for Local History, and give you a digital copy as well. You keep the originals, but the image can be available to researchers, students, and those interested in the collective memory of the community. So if you have old photographs, slides, or other images that relate to the history of the Green Valley/Nauck area, we would love it if you could come out, show your support, and let us digitize them for you! Scanned images will be donated to Drew School, to help build a local history archive for students to use. The Center for Local History’s Judy Knudsen and Chinn Funeral Home’s Tyra Baker look at some old photos of Green Valley to be scanned. One thing we learned is that weather is the natural enemy of outdoor scan-in events. Last Saturday’s strong winds meant that our new banner couldn’t be put up without becoming a sail and falling over. In addition, our tent was threatening to blow away and had to be taken down. All this meant that, with the day’s bright sun, it was difficult to see the computer monitors to actually do the scanning, which led to the use of an umbrella purchased from Green Valley Pharmacy as a sunshade. The Center for Local History’s Tad Suiter (under umbrella) and Judy Knudsen. If you have images of the Nauck neighborhood that you would like to share but you cannot make it Monday, or if you would be interested in having a community scan-in in your neighborhood, please feel free to contact us at the Center for Local History and we will try to help you out! This year has brought big changes to Central Library, with building-wide renovation and redesign. The Local History Team has used these renovations as an opportunity to re-evaluate how we present our mission and projects to the public. After much consideration, as of our reopening this week, the “Virginia Room” name is being retired. We are now the Center for Local History at Arlington Public Library. Simply put, the name “Virginia Room” was insufficient to convey the scope of the work that we do and the resources we offer. Our mission has not changed: we are still dedicated to collecting, preserving, and sharing the history of our community. Our rich historical collections and range of projects offer the Arlington community the ability to not only learn about and research their history, but also contribute to its telling. We are, and have always been, much more than just a room; now our name will reflect this. By changing our name to the Center for Local History we hope to provide a better explanation of who we are: our many projects and the mission that links them. The Virginiana Collection, located in our research room, is a special collection of library holdings including books, newsletters, maps, oral histories, and other materials pertaining to the history of the Arlington area specifically and Virginia more generally. These materials are not available to be checked out, but can be used by researchers during our research room hours. The Arlington Community Archives, which collects and preserves documents about the history of Arlington County, its citizens, and organizations. The collection focuses on personal papers, photographs, and archival records of local organizations, clubs, and associations. Most of these holdings are kept off-site at our archives, but can be requested by researchers for perusal in our research room. Finally, our Digital Initiatives include efforts to improve access to our holdings by digitizing them and making them accessible to the community online. This includes the digitization of holdings, the creation of online exhibits, and the preservation of born-digital holdings in the archives. Later this summer, we will add another element to our Digital Initiatives program, as the Library’s Digital Projects Lab will become part of the Center for Local History. The Digital Projects Lab will provide a variety of software and hardware to allow anyone to come in and share their own pieces of Arlington history, through scanning family photographs or recording oral histories, along with providing a space and resources to create digital projects. The Center for Local History at the Arlington Public Library is located on the first floor of Central Library. We hope you will come and visit us, explore our collections and follow all the exciting new projects coming up this year and beyond. This blog post represents the first in our new series, Unboxed, where we will give a behind-the-scenes view of new and interesting Center for Local History projects. We have a lot of exciting projects in the pipeline, and this blog series will be a place where we can let you behind the scenes, show you what we’ve got in the works, and what we’re working on. Hope you follow along and enjoy it! Because of ongoing interior work to improve comfort and convenience at Central Library, the Virginia Room will be temporarily closed to the public beginning Thursday, May 9. This will mean safely removing and storing the Virginia Room’s fragile historic collections to allow for new carpeting, painting and some reconfigurations including a new home for the Library’s Digital Projects Lab. We apologize for any inconvenience and expect the Virginia Room space to reopen on Wednesday, May 22 after Memorial Day. Researchers are encouraged to look for updates on the Library’s website, Twitter and Facebook accounts and to call ahead (703-228-5966) when planning to visit in late May and early June. Once the research room and collections are again available, the Library’s community history program will officially be known as “Arlington Public Library’s Center for Local History.” We think it will give potential users a better understanding of the program’s mission and scope. The Library appreciates the continued support and understanding from its users as the Central renovations project picks up speed. 101-year-old Martha Ann Miller speaks to the Arlington Branch of the American Association of University Women, sharing her years as a teacher in Arlington and particularly the struggles over desegregation in the 1960′s. The First Century, and Not Ready for the Rocking Chair Yet by Martha Ann Miller is available in the Virginia Room.